A lovely reader recently left a comment asking me if I would mind sharing how I printed on to fabric to make this. Well, dear readers, I wouldn’t mind in the least! I’m all for sharing the how-to love. The truth is though, that there is no technique! I use fabric sheets that are pre-treated and mounted on a backing that lets you pop them straight into your printer tray and print as you would normally. 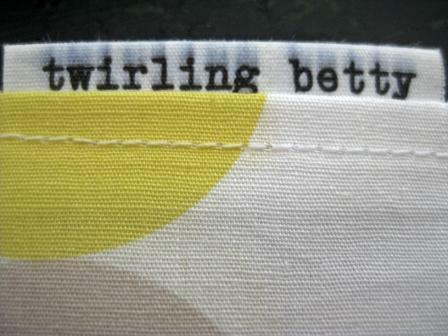 I bought Matilda’s Own Inkjet Printable Fabric and I’m quite pleased with the results I’ve had. The fabric, though, is slightly stiffer and rougher than normal cotton. Also on the back of the packet it says to wash gently (by hand or machine) and that it’s not recommended for projects requiring frequent washing. So this might not be the best option if you’re planning to incorporate your printed panels into clothes or things that will see the inside of a washing machine a lot. 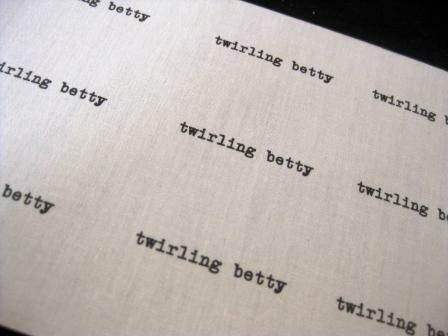 As well as Olive’s little soft toy, I’ve also used this fabric to print the twirling betty lables I sew into my visors. Generally I’m pleased with them however one got a little wet the other day and this happened. Not great. I think this means the inks I’m using (standard Canon Pixma inks) are not water resistant. Good to know. There is also a DIY technique for preparing your own fabric to print on. I haven’t ever done it myself but have read quite a bit about it. You need to treat your fabric with an ink fixative like Bubble Jet Set which, despite its name, actually works with ink jet printers as well. Treating it involves, I believe, soaking it in the solution and then washing it. After that, you iron freezer paper onto the back of your fabric and then cut your page to fit your printer tray and print away. Apparently this method works best with 100% cotton but I have seen that people have had equally good results with muslin. For those of you who aren’t familiar with freezer paper, then let me introduce you. Freezer paper, these are my readers. 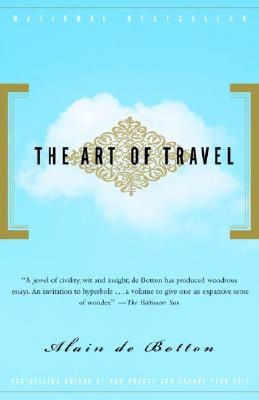 Readers, this is freezer paper – your potential new best friend. Now, I hope I won’t embarrass freezer paper by saying this in front if it but…freezer paper – I LOVE YOU DEEPLY. It has myriad uses the most well known of which is to make stencils for transferring to fabric. You might like to have a peek at this and this post which feature a couple of onesies I made recently using freezer paper, paper punches and fabric paint. Of course, you’re in no way limited to using hole punches. You can cut out any design you like using a sharp craft knife. I just like to use my punches because I am impatient in the extreme and they give me instant satisfaction. By the way, I got my freezer paper from Spotlight. Before you start printing, one tip I have is that although you may be tempted to use the “best quality” setting in your print properties, I’ve found the ink can be too heavy on this setting and actually reduce the picture quality. A normal setting works best for me. Two other things that possibly go without saying but I will say them anyway as I’m nothing if not a fan of completeness: do remember to do a test print onto paper of the same size before you go ahead and use your precious fabric. Also, if your image is a little dull then use an editing program to enhance it before you print. Simply brightening the colours and sharpening the contrast can make a huge difference to the final image. For inspiration, have a look at this fabulous lunch bag. Yasmine at A Print A Day is an amazing graphic designer and very generous with what she makes available on her website for personal use. She designed these dolls which are so very divine and you can download the template for them from her site. Another option for getting your designs onto fabric is Spoonflower. You submit your designs to them and they print them onto fabric for you. Spoonflower is more for if you want to actually try your hand at designing fabric though rather than simply printing an image to incorporate into something else. As for my own future fabric printing plans, next on my list are little softie versions of the whole family using photos scanned onto fabric. Inspired by this, I’m then going to make each of the girls a pillow case with 3 little pockets where they can tuck each of their family members inside. That way, they can take us along with them whenever they go away. Although I am fully prepared to find the family dolls abandoned on the floor in favour of a half-sucked sweet, some hideous Disney princess figurine and a snotty tissue. Happy fabric printing! If you make anything using this technique you would like to share, send me a picture and I’ll post it on the twirling betty Facebook site.